CASG uses the Mail Exchanger (MX) records in a user's domain record to direct all senders to Comodo's software service first, intercepting spam and virus-laden email before it reaches the corporate mail server. Messages that are clean or whose senders are whitelisted are then passed to the user's original mail server address and on to the business' email users. Messages flagged as spam are quarantined in Comodo's service for users to review from time to time as needed. "With the Comodo Antispam Gateway, we are extending Comodo's protection from the endpoint right to the greatest source of threats to business users," said Melih Abdulhayoglu, Comodo's CEO and chief security architect. "Joined with Comodo's unique combination of default deny protection, auto-sandboxing and other business security technology is proving to be a far more effective in providing overall lnternet security, and with CASG we're offering an anti-spam gateway that puts this same approach to work for small to mid-size businesses that host their own email servers." CASG enhances productivity of employees and reduces load on mail servers along with providing ease-of-use and configuration innovations. Comodo Antispam Gateway offers an intuitive web-based management console that enables administrators to quickly add domains and set up users. This web-based gateway solution requires no expensive appliance or hardware on-site or custom server software installation, integration or maintenance. Comodo offers 24x7 monitoring and priority phone support for this service. Comodo Antispam Gateway is priced at 50-cents per mailbox per month. It can be subscribed for single domain or multiple domains as used by the business and for bundled quantities of email users, cumulative of the domains. For information, visit comodoantispam.com. 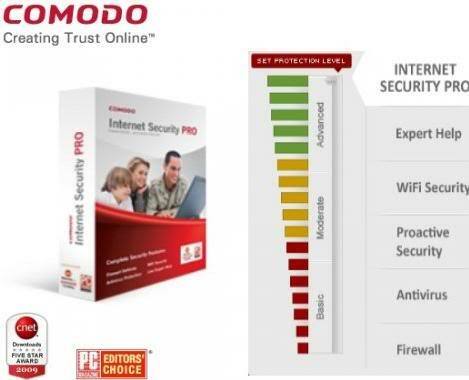 Comodo is a leading Internet security company. With U.S. Headquarters in New Jersey and global resources in UK, China, India, Ukraine, and Romania, Comodo provides businesses and consumers worldwide with security services, including digital certificates, PCI scanning, desktop security, and remote PC support. Securing online transactions for more than 200,000 businesses, and with more than 35 million desktop security software installations, including an award-winning firewall and antivirus software, Comodo is Creating Trust Online®. To learn more, visit Comodo's website: comodo.com.